Patrick J. Flynn is Professor and Chair of the Department of Computer Science & Engineering at the University of Notre Dame. Dr. Flynn has held the Duda Family Professorship in the College of Engineering at Notre Dame since 2014, and is also a Concurrent Professor of Electrical Engineering. He received the B.S. in Electrical Engineering (1985), the M.S. in Computer Science (1986), and the Ph.D. in Computer Science (1990), all from Michigan State University. Dr. Flynn has held faculty positions at Notre Dame (1990-1991, 2001-present), Washington State University (1991-1998), and The Ohio State University (1998-2001). In 2007-2008, he held a visiting scientist appointment at the National Institute of Standards and Technology during a sabbatical leave. His research interests include computer vision, biometrics, and image processing, and he has advised or co-advised eighteen Ph.D. dissertations, six postdoctoral scholarships, twenty-two M.S. theses, and two B.S. theses. 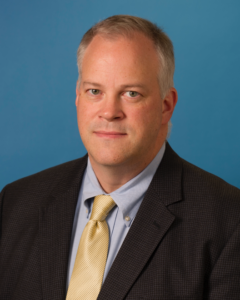 Dr. Flynn is an IEEE Fellow, an IAPR Fellow, and an ACM Distinguished Scientist. He was the Editor-in-Chief of the IEEE Biometrics Compendium from 2016-2017, and is a past Associate Editor-in-Chief of IEEE Trans. on PAMI, and a past Associate Editor of IEEE TIFS, IEEE TIP, IEEE TPAMI, Pattern Recognition, and Pattern Recognition Letters. He has received outstanding teaching awards from Washington State University and the University of Notre Dame, and Meritorious Service, Golden Core, Certificate of Achievement, and Technical Achievement awards from the IEEE Computer Society.